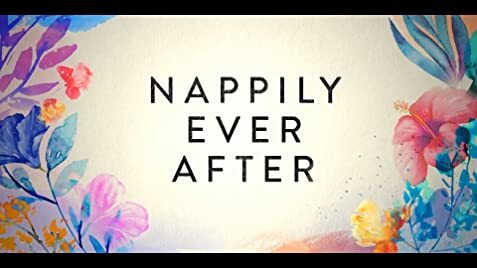 NAPPILY EVER AFTER is a romantic comedy involving hair. 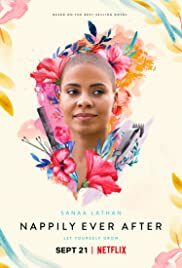 The titles that divide the film tell the different stages of the main character life as she changes her hair – for example from straight to weave to blonde and even to bald when the female protagonist hysterically shaves her head in despair on being ditched by her man. There are good and bad things about this Netflix original romantic comedy. The writers are quick to have hair as a niche in the story. Anything and everything that concern hair is in. When Violet was a little girl, Violet was always hair-perfect, as dictated by her mother. Where other kids could get dirty and not comb their hair, Violet had to get her hair done by her mother and kept that way throughout the rest of the day or till mother grooms her hair again. When Violet grows up, she is still 100% concerned that she must look good with her hair. She insists that she has her hair done just right for her birthday when she expects to be proposed to by her boyfriend, Clint of two years. Violet depicts that kind of girl (black or any other race for that matter). The story therefore can connect with a large part of the audience, the target audience obviously being female between the ages of 20 and 40), who are largely concerned about getting married and bear children (unless they are too career oriented or non-breeders). The bad thing about the rom-com is that it is full of cliches. There is one contradicting scene set at a sports bar in the middle of the film when Violet sits with her two friends and discuss beer commercials. They complain that beer commercials are so sexist as they are always geared towards men. Yet when they see the men cheer a game on the TV screen drinking beer, they claim it to be latent homosexuality. This is clearly selected minority prejudice. The one annoying thing about this film is its insistence on making hair an all important factor into the story. Hair, here used as a metaphor for vanity is too obvious. The climatic scene ends with a song about hair. It is midway through the film that Violet encounters group therapy. She tells the group that she shaved off her hair to be bald after her boyfriend failed to propose to her. This problem is minuscule compared to the other problems of the group who suffer worst of life’s problems like cancer. The film also puts a great deal about its subject shaving off their hair. It is quite commonplace right now with many celebrities like Grace Jones sporting the look. In fact, I would say I would see at least two ladies sporting that look at my gym, on average. Violet comes across as a character, spoilt, not getting what she wants, then getting really annoying when doing what she can. As a result, not everyone in the audience might be rooting for this annoying character which might pose a problem for the film. As is what would be expected, director Al-mansour steers her film towards an overdone Hollywood rom-com ending – cliched as the film already is. But what is unforgivable is the film’s preaching at the end about women of colour embracing their natural beauty. Ugh! “There is something at work in my soul, which I do not understand,” so says Mary Shelley at the beginning of the film. We take it that the filmmakers plan to shed some light on the topic of Mary Shelley’s troubled soul, which inevitably resulted in one of the most famous horror novels of all time – “Frankenstein”. MARY SHELLY is a biographical drama of the famous author who wrote the book “Frankenstein” by the age of 18. At the film’s start, the audience sees the younger Mary (Elle Fanning) reading and scribbling. She has trouble at home, particularly in the relationship with her step-mother and sent to live with relatives in Scotland where she meets her suitor Percy Bysshe Shelley (Douglas Booth). 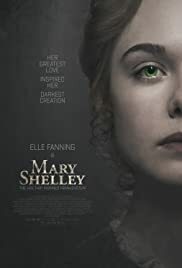 However, 15 minutes into film after Mary meets Percy, director Haifaa al-Mansour decides to concentrate her film on Mary Shelley’s first love and her romantic relationship with him (full name Percy Bysshe Shelley). The story turns out to be less a biography of the author than a period love story. Worse still, al-Mansour’s decision to have her film punctuated with Percy’s poetry distracts the fact that the film is about Mary and not about him or his writings. The trouble with all this is that director al-Mansour is unable to sway the audience unto Mary’s side. There is hint of the need for female independence in these times, which is emphasized at the end when she has trouble getting her novel published. When told by her father (Stephen Dillan) that if she goes with Percy, she would lose the love of her father forever,” one is immediately not on her side, for Mary seems young, impetuous and impertinent. When Percy finally flirts with the younger Claire (Bel Powley) , things become clear that Percy is not the man Mary had thought him to be. It is too late as Mary is pregnant with his child. Elle Fanning is convincing as the independent young lady who falls into hard times, due to her own fault. Douglas Booth is terribly annoying as the handsome rogue, Percy – but I suppose the character of Percy is supposed to be annoying. Tom Sturridge goes over the top in his portrayal of the even more detestable Lord Byron. The scene of Mary comforting Claire in the woods under rain and thunder shows the director at her worst, going for cheap theatrics. Al-Mansour’s film is beautifully created and shot in terms of period atmosphere both in the interiors to the dimly lit cobblestone street and vast green Scottish landscape exteriors. MARY SHELLEY is Saudi Arabian director Haifaa al-Mansour’s second feature after she became film society’s darling with her debut feature WADJDA. WADJA was the first film made by a female director from Saudi Arabia and the first film from Saudi Arabia o be screened at Cannes. ` But MARY SHELLEY ends up a story without a strong direction with inspiration behind Mary for her books only hinted at. One assumes it is due to her hardships – such as the haunting of her mother’s death, her distressful love affair and loss of her in infant child. In the end, the audience is still left in the dark as to the understanding of what was really at work in the soul of Mary Shelly.